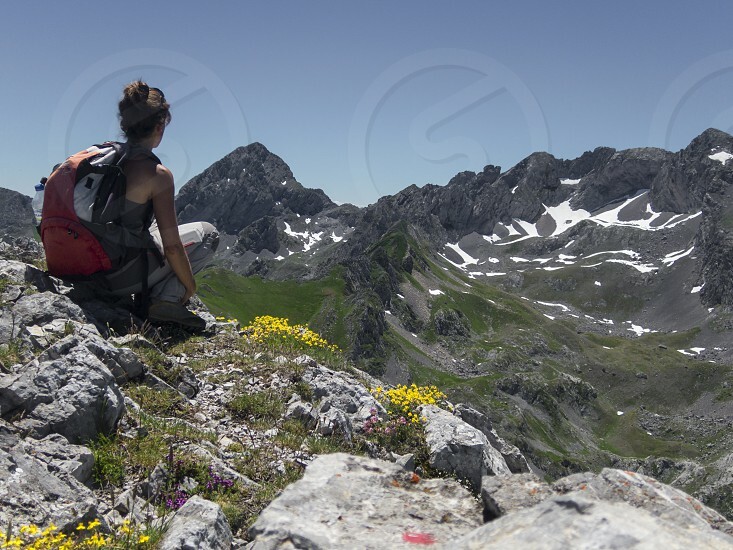 WOMAN WALKING IN UBIÑA MOUNTAINS. ASTURIAS. SPAIN. Enjoying nature and freedom in the countryside. Walking around the mountains in summer. Life, peace, happiness are some of the sensations and emotions that you can feel while breathing deep in your way, listening to the Earth and inside yourself. Alone or sharing these moments. Silence. Being and knowing yourself when codictions are extreme. Earth is wonderful. Let´s take care for it!